This cake was made using a 1/2 sheet cake. I iced the cake and carved the edges in a “C”/half moon shape. I covered the size of the cake with black fondant and then laid a sheet of black fondant on the top of the cake. The tape “label” and inside of the cassette is an icing image. 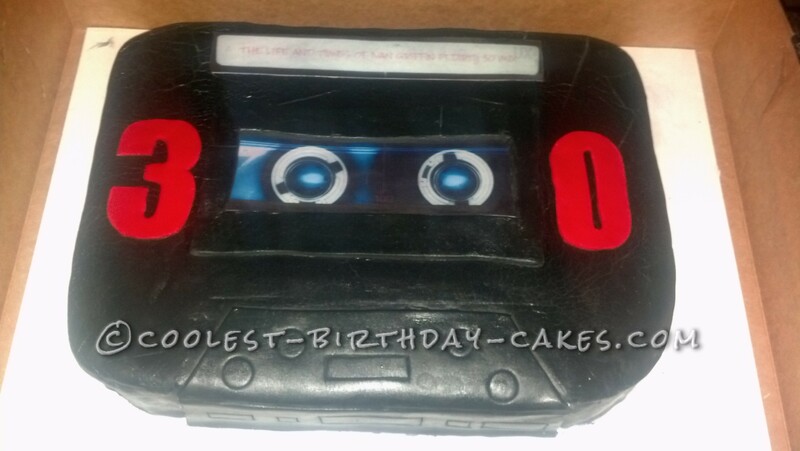 I used icing tips and exacto knife to imprint the details on the tape.